Pimp your humble hummus and make it the star of an informal mezze dinner party! 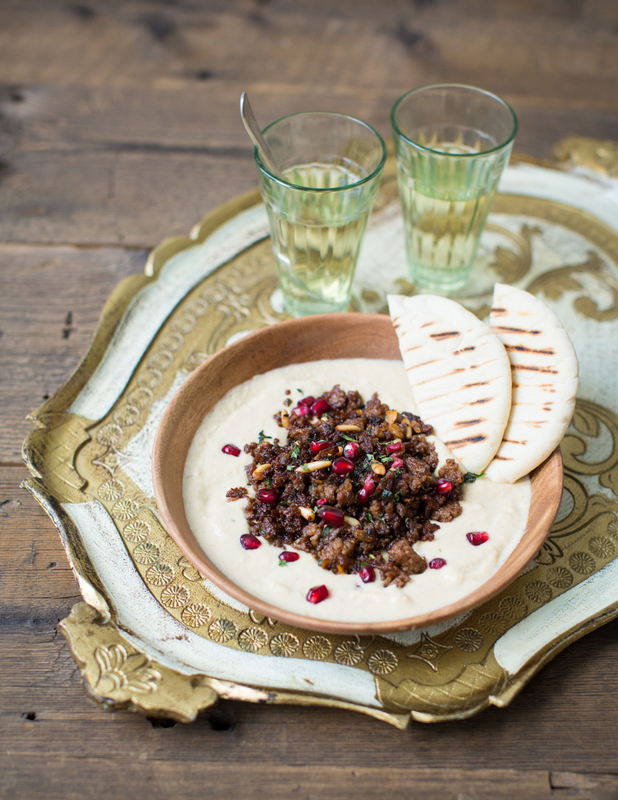 You’ll be amazed by how great it tastes paired with Middle-Eastern spiced lamb and pomegranate seeds. Start by preparing the lamb: Peel and chop the onion. Peel and crush the two garlic cloves. Melt the butter in a frying pan and fry the onions with a pinch of salt for 4 minutes until soft. Add the crushed garlic and fry for another minute. Add the paprika, cumin, cinnamon and chilli flakes and fry for another minute. Add the lamb mince, and fry for about 10 minutes until the meat starts getting brown and crispy on the outside. Meanwhile, prepare the hummus. Peel and roughly chop the garlic clove. Put all the ingredients into a blender and pulse until smooth. Once the meat is crispy, stir through the pine nuts and mint and season with salt to taste. Take off the hob. Spoon the hummus onto a deep plate, leaving a well in the middle. Put the meat into the middle of the plate and sprinkle with pomegranate seeds. Serve warm or cold with toasted pitta bread. 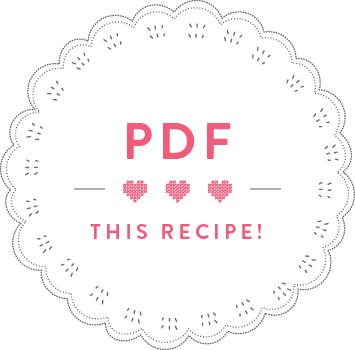 • For a vegetarian version of this dish you can replace the lamb with cooked Puy lentils. • Or, why not replace the lamb with my favourite veggie hummus topping: crumbled feta, mint and toasted pine nuts, sprinkled with smoked paprika powder and pomegranate seeds. This sounds so delicious Anne! I will definitely give it a try.